It's a banner week for Ruth Manning-Sanders research and scholarship! 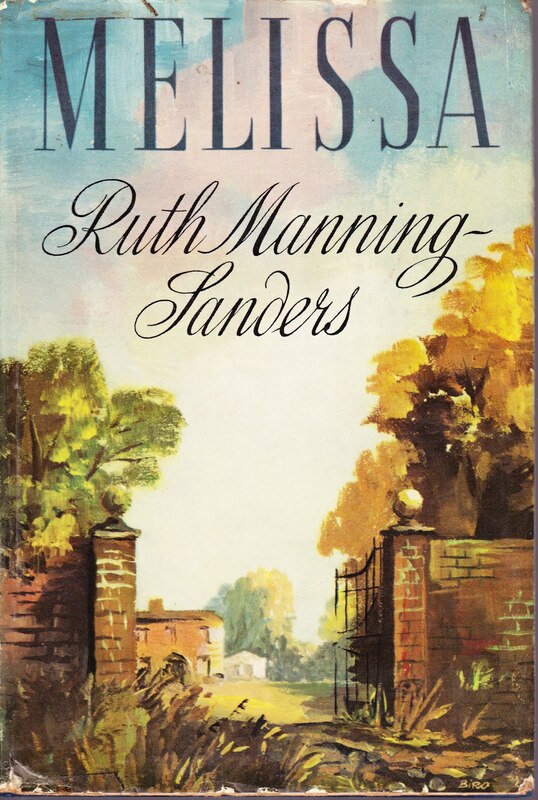 I recently acquired an inexpensive copy of one of her lesser-known adult novels -- 1957's "Melissa"1 -- expecting not much more than to be able to add it to my collection of her works. But I had a surprise coming. The book came with its original dust jacket intact. And, in flipping the book over, I discovered the photo of the author that appears here. What a great photo! So much better than the only other photo of her that I've been able to find. (And there's nothing else of her on the Internet.) 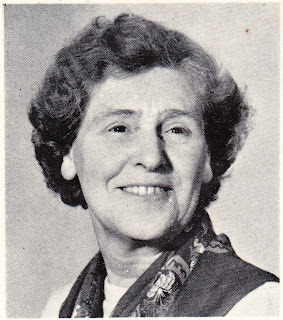 This book was published in 1957 and, if this is an up-to-date photo, then she would be about 70 years old in this picture. "The wife of the late George Manning-Sanders, the artist and writer, Mrs. Manning-Sanders was born in South Wales, of an old Unitarian family, whose forbears came over from the Netherlands during the Duke of Alva's persecutions.2 Her childhood was spent in the north of England and she attended Manchester University as a Shakespeare scholar but, before graduating, left to get married. With her husband she toured England, Scotland and Wales in a horse-drawn caravan. They then joined the artists' colony at Newlyn and finally made their home at Sennen Cove, near Land's End. "Ruth Manning-Sanders began writing verse, and never thought to write anything else until economic pressure acted as a spur. One day she met an elephant in Sennen, and became interested in circus life. She joined a family tenting circus, travelled with them for two summers and lived with them in winter quarters to study the practising of the artistes and the training of the performing horses, elephants and big cats. She worked as an advance agent, rode an elephant on parade, and went into the lion's cage with the trainer. "This has provided material for her circus novels and for her history of the English circus. Her hobbies and interests are gardening, anything to do with plants, animals and birds, astronomy, poetry and painting, legendary lore and prehistoric research." So she lived in an artists' colony3, rode elephants and was interested in astronomy and prehistoric research. Those are all tidbits I hadn't read elsewhere. "Melissa the beautiful; cruel, kind, indifferent; tender, wayward, unpredictable; where she is good or evil, heartless or not, who shall say? To her matter-of-fact cousin, Belle, who tells the story, she is as bewildering as life itself. "The time is the present, the scene Stoneleigh, a small village in central England, to which Belle returns to live with Melissa at the manor house. The manor is old and gracious. Here, Belle feels (despite changed times and the resultant shortage of cash), one might live out one's days in tranquility -- if only Melissa would leave people alone. ..."
"I have not yet had occasion to write much about Simon Andrew, because, during those first days at the Manor, I had scarcely caught a glimpse of him. He worked in the garden; but it might have been a hobgoblin that worked there, so invisible he made himself. One would come across a wheelbarrow here, or a spade stuck in the earth there, or a rank leaning up against a tree, but Simon Andrew himself had vanished." I could probably come up with an entire future post on the folk- and fairy-tale references in Manning-Sanders novels. 2. That would be Fernando Álvarez de Toledo, 3rd Duke of Alba (1507-1582). 3. Somebody should found a bloggers' colony. Seems like that would be a fun thing.